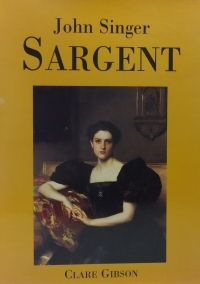 This book covers the work of John Singer Sargent, a contemporary of Anders Zorn and Mary Cassatt. According to the bio, he, too, was the son of a family of comfortable means who travelled Europe to be an artist. He met many of the European artists of the time and was influenced by the Impressionists a bit. Aside from what paintings he liked to do (which showed more of the influence of the Impressionists, with less sharp lines), he really made bank as a portrait artist, in demand for a lot of his life by the rich and the famous. Perhaps because of his success in this line, a lot of other artists had mean things to say about him, basically calling him a sell-out. Sell-out or not, the portraits and the landscapes are crafted well, and they’re more pleasant for my contemporary eyes than the Renaissance greats. And I can now identify my favorite work by Sargent: Lady Agnew of Lochnaw. Just in case anyone asks. Which no one will, because I will have killed the conversation and dispersed the group by sharing my extensive knowledge of seppuku. Next Next post: Won’t Someone Think Of The Soulless Automatons?